‘Twas not the night before Christmas; no snow was on the ground. ‘Twas not Saint Nicholas and a sleigh full of toys. ‘Twas a beautiful, sunny day of November 16, 2015. Gary, a retired truck driver from Tennessee, was volunteering his time to deliver Christmas backpacks to ministries in Kentucky and other states. On this day he delivered 600 backpacks to the Rockcastle Baptist Association for their Operation Give Hope Christmas Outreach on December 19th. From there, he was headed to Barbourville to drop off another load of backpacks to Missionaries James and Virginia McDonald at Emmanuel Bible Camp. In all, over 40,000 backpacks were donated by churches in Alabama, Georgia, North Carolina, South Carolina, Virginia, Kentucky, and perhaps some in other states as they joined with Appalachian Regional Ministry and Mississippi River Ministry to provide gifts for children and teens this Christmas season. 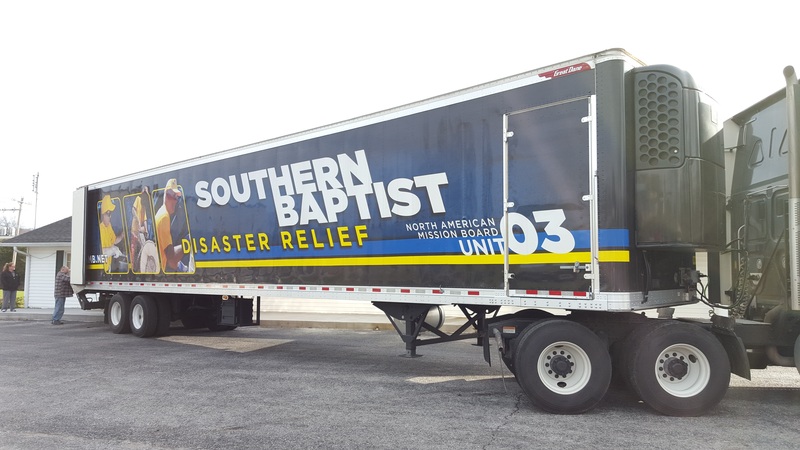 Nearly 15,000 of those came to Kentucky Baptist churches, associations, and ministries. In Louisville it ‘twas not Mrs. Claus, but ‘twas Missionary Linda Otterback with Eastern Kentucky SONrise Ministry who, along with a number of volunteers, collected 1023 gifts for children in eastern Kentucky. In Jenkins ‘tis Dove Broadcasting, serving alongside Missionaries Bessie and Lester McPeek, that will provide Christmas for 2000 children. And, the list could go on and on. My dad used to recite a poem about a little boy named Tim Ryan, who was so poor that the only sock he had to hang up for Christmas was one with a hole in the toe. When Santa came he filled, and he filled, and he filled but the presents kept running out at the toe. Tim Ryan was so excited the next morning when he got up because he had not been forgotten, but had gotten much for Christmas. ‘Tis not Santa Claus, but ‘tis Southern Baptists that will cause many children across Kentucky know they have not been forgotten, but have a blessed Christmas because they are given, not just gifts, but the true Gift of Christmas. May you have a blessed Christmas and may you too share the true Gift of Christmas with others during this special season.